It is rare that a chair can make you grin, a table can make you smile, a stool can make you laugh and a bed can make you want kick up your heels and dance. But if you really wish to do these for your kid, choose whimsy chairs, tables and stools in childerns furniture that will create interesting responses. Kids furniture reflects not only your aesthetics sense but provides the right kind of ambiance also. It doesnt matter how old your kids are; to decorate kids room furniture offers you a chance to show them your extensive care. 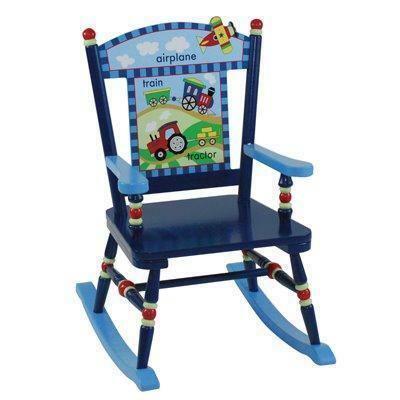 Pick up jolly designs with cute look of kids furniture so, that the kids could enjoy them. If you wish to recollect the memories of your little sweet heart, add some unique and comfortable furniture for kids room. Always keep in mind whether you are decorating the childerns room for your baby girl or for your baby boy; as their likes and dislikes may be different. Mostly the girls like to decorate their room like a princess but the boys like sporty look. For a sound sleep of your kid, you would like to choose comfortable and stylish bed. Beds of innovative bright and vibrant colors make the room inviting and kids would like to stay in their room for a long time. When you come to know that a baby is coming to your house, begin to think about a baby bed or crib bed so that he could enjoy a sound sleep there. You can choose any shape in kids furniture like oval or round and any material like wood or plastic. The colors of the kids beds furniture must be eye-catching. You can add wheels to the baby bed Furniture if you want to take your baby outside. Toddler beds give your kids room a distinct look with different styles and colors. They are specially designed for kids who are above fifteen months and below five years of age. These beds meet the highest safety standards and the child feels comfortable with their Kids Furniture. For small spaces, bunk bed is an ideal solution to save the space. These beds are preferred in the houses having more than one kid. 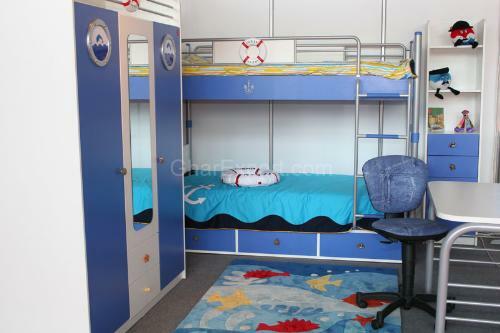 These kids funiture bed are right choices for the apartments and flats as they can be down-stacked into twin beds. Always check the strength while purchasing it. Due to lack of space, these beds are becoming popular in Childerns Furniture. Loft beds are great for good sleep. If you want to introduce an element of fun and creation, quickly add loft beds to your kids room. You can place a sofa, desk, bookshelf, or anything else under it to maximize valuable floor space. These beds are practically beneficial due to their versatile functions. Chairs add fun to your kids room. When it comes to seating, give them best chairs in the world.and you can also add this furniture with other childerns furniture. Every kid wishes for a special seating spot of his own. Rocking chairs are the right choices as they reflect the style in an elegant way. They may be favorite resting spot for their special doll or stuffed animal. Chairs add a touch of comfort and tradition to play area. 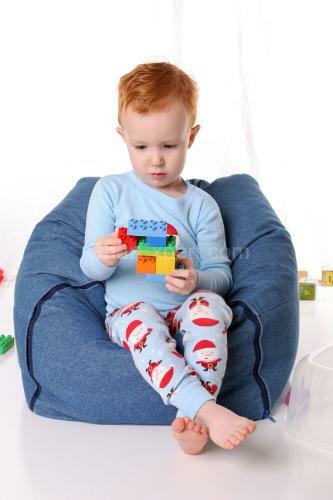 Bean bag chairs are comfortable kids furniture, and available in a wide variety of shapes, colors, and fabrics. You can choose any one to match your style. Traditional bean bag chairs are perfect for teens, younger children and adults while reading, watching television or playing video games. It assumes its original shape when not in use. Its funny shapes are great additions and add a nice finishing touch to a kid's room. High chair is your kids friend during the early years of his life. It provides a safe place to sit while eating. 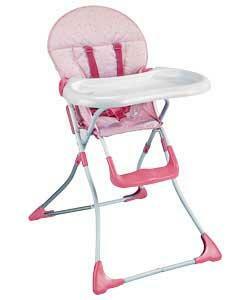 Choose right high chair for your kids so that they can easily sit on the chair without your support. A table invites your kid to sit down and enjoy the surroundings. It is one of the significant articles of furniture which the kids like for decoration. The table is placed just right; it doesnt consume much space. Kids like the chairs because they are of their sizes and give special place to play or enjoy a snack. Traditional tables and play tables expressing their favorite characters are mostly appreciated by the kids. Kids want to perform any creative work or any activity on the tables. 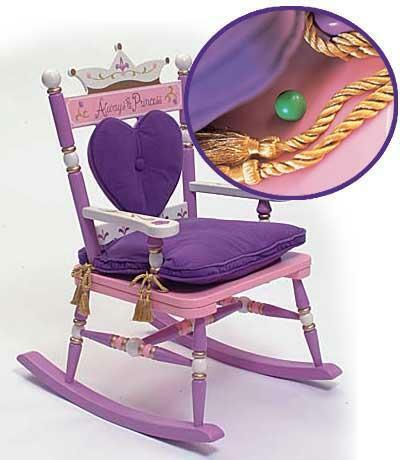 Always keep in mind whether the chosen furniture is suitable for your little sweetheart or not. A lot of storage space is required to collect kids favorite toys and the books therefore it is essential to provide storage furniture. The dressers, bookcases and toy boxes are the most popular storage furniture for the kids. They may use the place under the bed for storage in the houses having small space. Avoid the items having sharp edges in the kid's room Furniture as they are harmful to the tender skin of your kid. 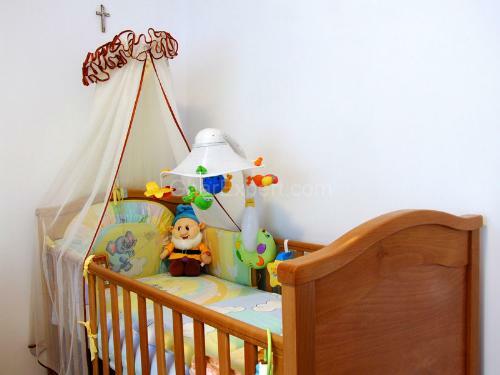 Keep the least distance between the slates of the crib and the baby bed so that the baby could not trap his head into the slats. Check cracked and peeled article of furniture and repair it. Use Lead-free paint in the kids room furniture otherwise it may be swallowed by your baby and can cause serious risk to health. Check the fitting of all the joints of furniture for the safety of your kid. Make wooden childerns furniture very smooth and splinter free. Your kids room is not only a place to sleep but it is a play area also where he involves in various fun games. But always keep in mind that colorful stuff motivates your kids and provides confidence to them. No cost is too high to make the childhood moments precious and unforgettable. Sparkle your kids room by purchasing the unique furniture for them. If you don’t have space for separate room for siblings and two siblings sharing bedroom is the only option. You will have different ways to decorate their room to make sharing a room enjoyable. Spice up the decor of the boy's room by applying adventurous themes like automobiles, favorite action figures and superheroes such as Spiderman. Parents can help to make their kids’ dreams come true by placing cribs and tables, choosing right beds and providing enough storage in their kids’ room. Think practically and go for bright colors, whimsy chairs, effective storage and safe beds. Involve your kids while making decision for their room which is not only the place to sleep for them but a space to play, study, enjoy and listen to music. Girl’s room is a nest for daydreaming, studying, playing with dolls, sleeping and even doing a little makeup and spending time in gazing at the mirror for all those imagined-up pimples. The world of children is full of fantasy and wonderful dreams and children need an environment which is colorful and fulfills their innocent ambitions.